Grape picking harvest 2017 on Etna foothill under majestic volcano eyes. Nerello Mascalese is traveling from vineyard to the winery vat to be pressed or stomp. 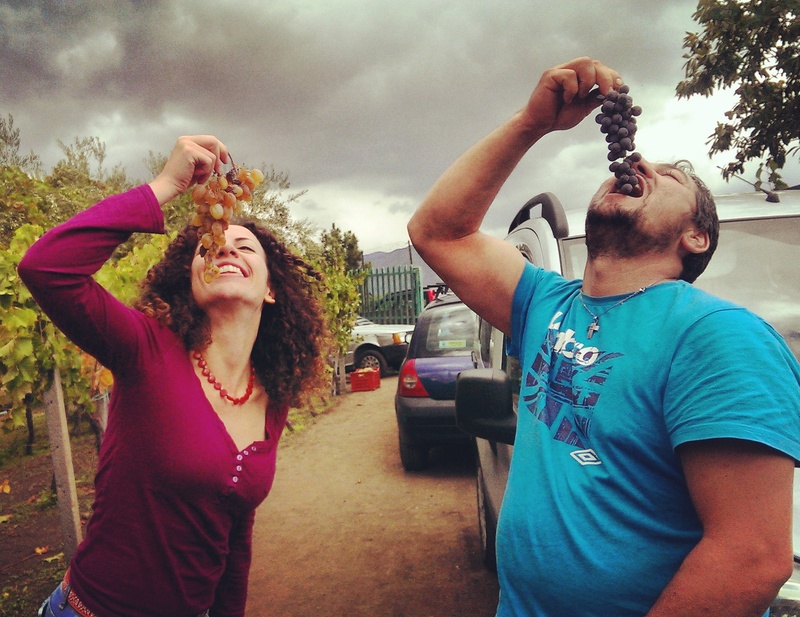 That’s harvesting sicilian grapes for great wine. All that by all family, hard work but nice party and barbecue as well traditional breakfast and lunch very good country food. Sicilia, vigna, vigneti, cantina, mosto e terroir, soil and nature for wine lovers. Next Vacanza da cani? Meglio in viaggio con il cane?